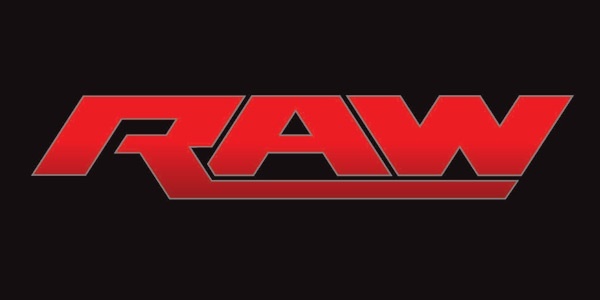 On the final Monday Night RAW before the live event at Madison Square Garden airs on the WWE Network this Saturday, the show did nothing to progress any storylines and the mostly quiet Buffalo, New York, crowd let them know it. A ridiculous segment that made the WWE World Heavyweight look like a fool, nine mostly filler matches and a fading sham of a ‘Divas Revolution’ only worsened an already bland episode of RAW. Xavier Woods w/ Big E and Kofi Kingston vs. John Cena (c) (United States Championship): Kingston and Big E were ejected from ringside to start, leaving Woods to fend for himself. Cena dominated most of the match, but Woods was able to land some of his signature moves, including a 2nd rope DDT and Lost in the Woods. Cena locked in the STF but before Woods could submit, Kingston and Big E came to his aid, assaulting Cena, leading to the disqualification. The Dudley Boyz make the save, leading to a six-man tag team match. John Cena and The Dudley Boyz: Bubba Ray Dudley and Devon Dudley vs. WWE Tag Team Champions The New Day: Kofi Kingston, Big E, and Xavier Woods: New Day isolates Cena from the Dudley Boyz for most of the match. Cena gets the hot tag to Devon, who clears out the ring. As The Dudley’s prepare for the 3D, Woods grabs Bubba Ray’s leg and holds him, allowing Kingston to hit Trouble In Paradise for the win. Mark Henry vs. Big Show: Show makes quick work of Henry, using a spear, three powerslams, a kick to the face and a Weapon of Mass Destruction to put away Henry. Show is ready to face Brock Lesnar this Saturday at Madison Square Garden. Team PCB: Paige, WWE Divas Champion Charlotte and Becky Lynch vs. Team Bella: Nikki Bella, Brie Bella and Alicia Fox: Team PCB showed surprising unity, as Paige seemed to be on the same page with Charlotte and Lynch until she decided to leave. Natalya confronts Paige on the stage and tries to help Charlotte and Lynch, but Paige assaults her. That allows Nikki Bella to hit the Rack Attack on Charlotte for the win. Primetime Players: Darren Young and Titus O’Neil vs. The Wyatt Family: Luke Harper and Braun Strowman: Young and O’Neil are able to hold their own against Harper and Strowman for most of the match, but the size advantage proves to be too much, as Strowman makes O’Neil pass out with his sleeper hold. Stardust vs. Neville: Quick match with a lot of athleticism involved. As Neville goes for the Red Arrow, King Barrett’s theme song hits and he walks down to he ring, hitting a Bull Hammer on both Neville and Stardust in his return. Bo Dallas vs. Randy Orton: Another quick match, as Orton takes it to Dallas in front of the visiting Buffalo Bills that Dallas insulted prior to the match. Orton wins with an RKO. WWE Intercontinental Champion Kevin Owens vs. Rusev w/ Summer Rae: The match starts out a slugfest as both men throw heavy punches at each other. Outside the ring, Owens throws Rusev into Ryback, who was on commentary. That results in a disqualification, but Owens and Rusev assault Ryback until Dolph Ziggler makes the save. Roman Reigns vs Bray Wyatt: Reigns manhandles Wyatt to start, throwing him around the ring. But Wyatt is able to neutralize Reigns with several sleeper holds and slams. The crowd is quiet throughout until Reigns starts a comeback, culminating with a Sit-Down Powerbomb. The match ends with a count out and then all hell breaks loose. Wyatt tackles Reigns through the barricade, but Reigns recovers to spear Wyatt through the announce table, sending the crowd into a frenzy as RAW goes off the air. Ring of Honor Coverage: No Storyline? No Problem?